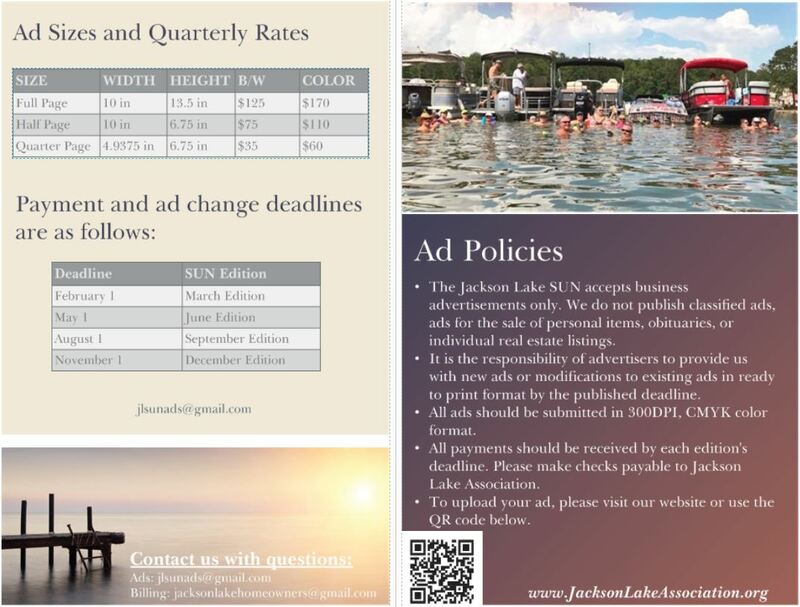 The Jackson Lake Sun accepts business advertising only. We do not publish classified ads for the sale of personal items, obituaries or individual real estate listings. It is the responsibility of advertisers to provide us with their ad changes..